The construction of an underground structure is, by definition, complex. The project client, just like the contractor, is under constant pressure: he wants the project to respect the program and the budget as well as to have a good safety record. The client is also accountable to others for the project: to a higher authority, to taxpayers, to voters, to local communities and to the population directly concerned. Therefore, apart from its quality and reliability, the success of the project is an economic and political issue for the client. On the other hand, the client can too easily relegate the purely technical aspects of the project to the contractor. After all, the construction risks have often been transferred to the contractor, who was chosen (along with other criteria) for his technical capabilities. Yet, the clients still feel the need for transparency and a desire to understand technical aspects of the project. 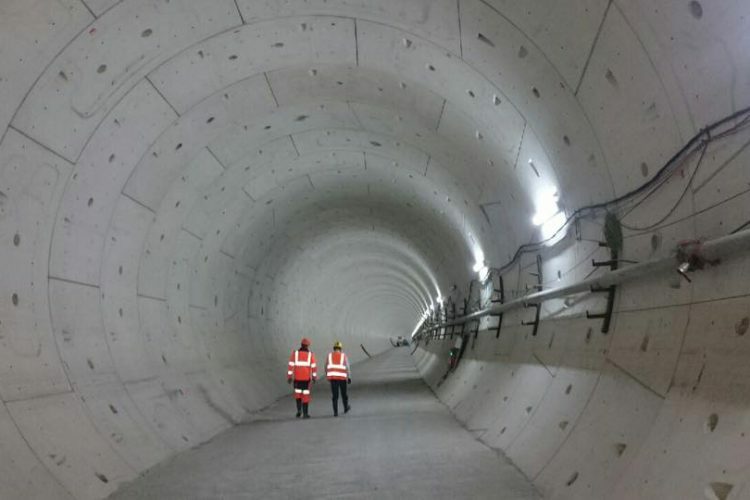 Given the (relatively) limited number of skilled contractors for underground structures (as compared to building contractors, for example), it is often the case that the contractor has built more tunnels than the project client. Also, such a contractor has likely worked with many different clients. Geography also plays a role: certain contractors, French and European in particular, have the capacity to work anywhere in the world. Whatever the country and whatever the client, the contractor’s competence for underground works is applicable around the globe, thus making the contractor a “constant” in the relationship with the client. From one project to another, the clients will change and it is up to the contractor to adapt to them. Our experience shows that the contractor’s ability to adapt to each new situation is a key element in building a constructive client relationship. The contractor’s company culture will come in tandem with his technical know-how. A culture differs from one company to another, but it changes little from project to project and often depends to a lesser or greater extent on the personality of the site manager. All clients are required to comply with rules, standards and legislation. But each client will be different: By way of his country’s culture, his organization’s culture and sometimes by way of his personal methodology for underground projects. Roughly speaking, project clients can be subdivided into two distinct categories: “client-experts” and “client-buyers”. Client-experts have been contracting authorities for tens of kilometers of tunnels and other underground works in the past. Their experience is all the stronger because some of them will have their own in-house engineering departments. In most cases, these clients are railway infrastructure managers or public transport (notably subway) managers. The best examples of this type of client are the large European and Asian railway and public transport operators, for whom a new tunneling project will ultimately be a “tunnel among other tunnels”. Client-buyers, on the other hand, have little or no experience in tunnel or underground construction. These are often local authorities or clients who are unaccustomed to dealing with underground structures; for example, clients in locations where the topography does not lend itself easily to such structures. These clients may develop on underground project once every 50 years, which for them could be the project of a lifetime. But that, of course, does not mean they are less interested in the project—quite the contrary. Hence their (greater) need for information and understanding, a need that must be met by the contractor. Given the exceptional nature of such “once in a lifetime” projects, this type of client will be even more accountable to the above-mentioned bodies than a client experienced in managing large-scale underground projects. We can also mention a third type of client: Developers of greenfield networks in the Middle East (especially public transport and sanitation networks). Their case is rather specific as they are without experience in underground construction but are supported by particularly large teams of engineering firms. In conclusion, the type of client will largely determine the relationship that can be built with the contractor: either a relationship between equals or an asymmetric relationship. Yet it is crucial to underscore the importance of a good relationship and transparency between the client and the contractor. And this relationship should be built from the start: even when the client is assisted by an engineering consultant, he still needs to be accompanied by the contractor.